TLP-IASbaba - Day 65 – Q 4. Plans drafted in a room often fail in the field. In the light of above statement discuss the importance of human interaction in civil services? Day 65 – Q 4. Plans drafted in a room often fail in the field. 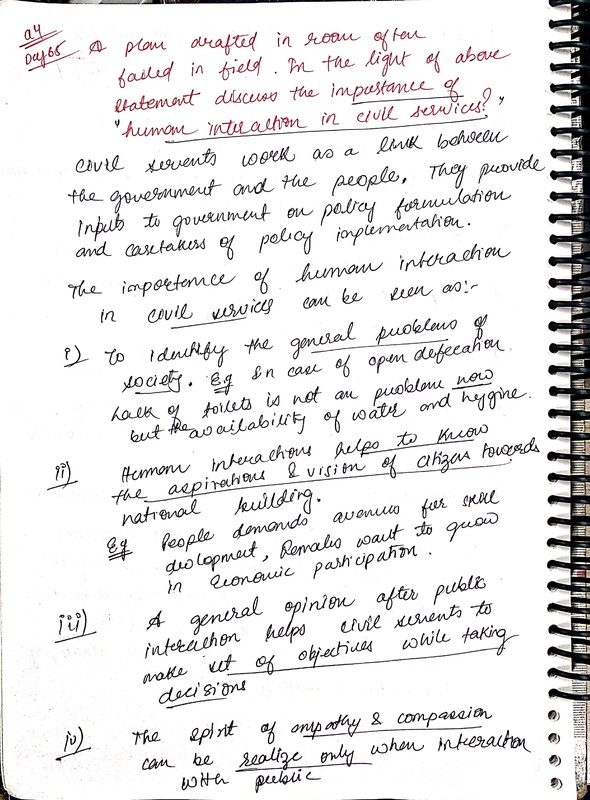 In the light of above statement discuss the importance of human interaction in civil services? 4. Plans drafted in a room often fail in the field. 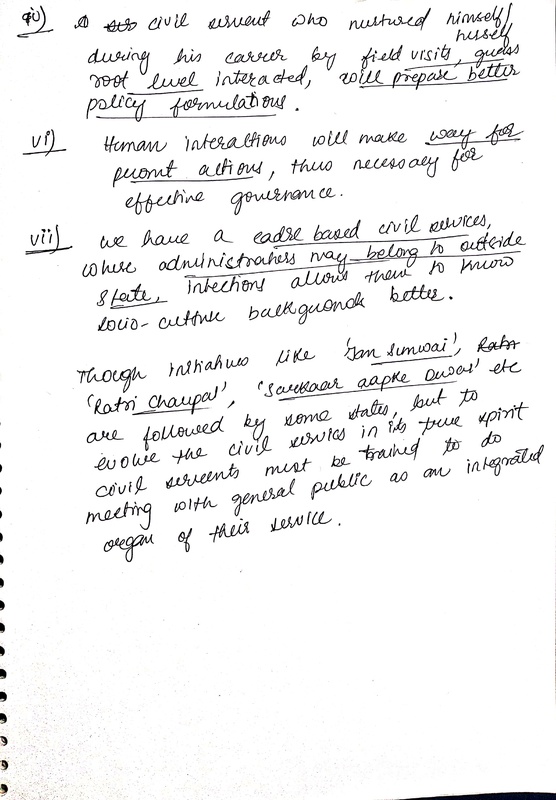 In the light of above statement discuss the importance of human interaction in civil services? Policies are often framed from an objective point of view. The implementation, however, cannot be objective as it includes the human element. To address this concern, civil servants must be efficient in human interactions to guide the policies so as to achieve the desired outcome. Predicts ground reality- Qualities like empathy in civil servants helps them understand the wishes of people. Fill loopholes- With constant feedback from the people, officers can implement a policy better by filling the loopholes in the original framework. Innovative ideas- Human interaction can provide innovative ideas for better implementation of plans and policies. Custom fit- There is no one size fits all plan, and with human interaction officers can customize the plans as per the needs of the population. Optimum utilization of resources- Local surveys can help in efficient resource utilization. Transparency- A plan involving viewpoint of populace is comparatively better accepted and enjoys the trust of the citizens. Involvement of people in the entire process of governance can help ensure better policy implementation while also restoring their faith in the institutions.